We understand our surroundings through multiple senses, and it is important for architects to consider the sensory experiences of the people they are designing for. 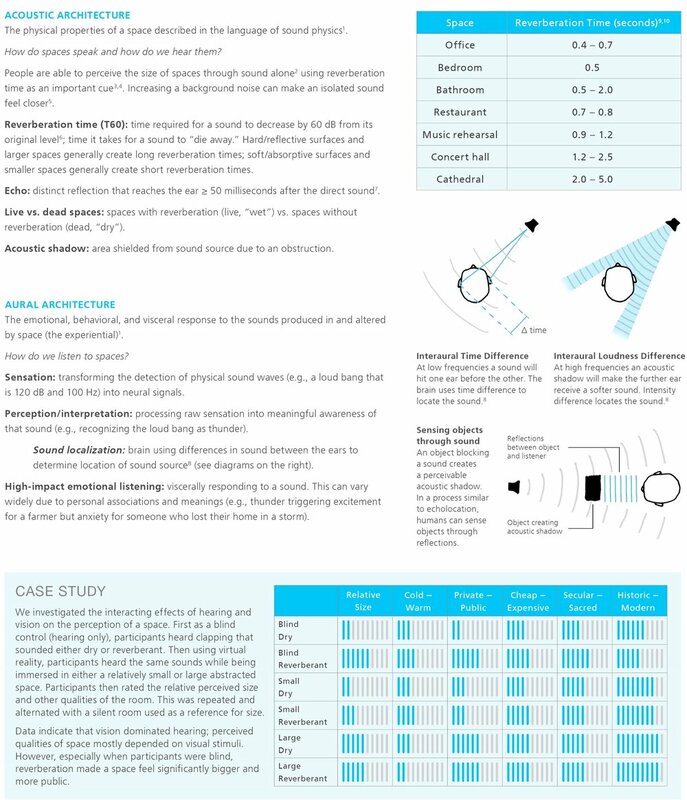 Here we further explore the acoustical qualities of architectural spaces, the ways that humans perceive their environments through sound, and the aural and experiential impacts of a space. Check out the second episode of Fellows in the Field! Hughes, H. “Sound Localization.” Dartmouth College, Hanover, New Hampshire.